Tomorrow, Thursday 31st, players will get a first glimpse at the Call of Duty: Black Ops 3 DLC 2. Treyarch’s game director, Jason Blundell, will be chatting with @noahJ456 about multiplayer maps and zombies during a stream. Developer Treyarch announced the news via their official Call of Duty, and Treyarch twitter accounts. Gaming Youtuber NoahJ456, expressed to be “beyond excited” to sit down with Blundell to reveal the Black Ops 3 DLC 2. He adds that he’s “extremely hyped” for tomorrow’s reveal Stream. Flying out to Treyarch tomorrow, extremely hyped for the stream Thursday. Players can get their questions in for the Stream with Blundell. As you probably have already seen, this Thursday (I’ll let you guys know as soon as they give me a time), I will be sitting down with Jason Blundell and asking him questions about DLC 2, previous Zombies maps, and the future of Black Ops 3! 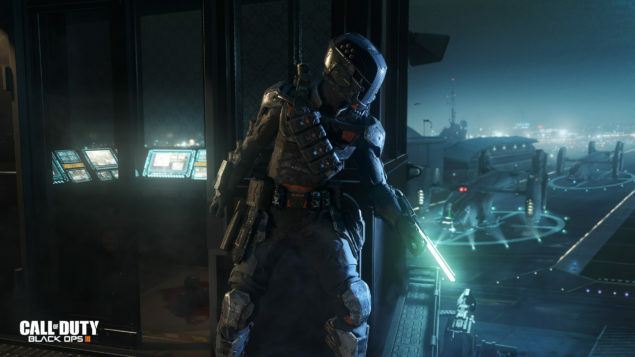 Call of Duty: Black Ops 3 was released back in November of last year for PS4, Xbox One, and PC. The shooter is set in a dark, gritty future where a new breed of Black Ops soldier emerges and the lines are blurred between our own humanity and the cutting-edge military robotics that define the future of combat. The game’s first DLC pack, Awakening, was released in February of this year. The expansion featured four new action-packed multiplayer maps, and a new Zombies experience set in a medieval Austrian castle during World War II. We’ll keep you updated when we learn more about Black Ops 3 DLC 2, stay tuned.